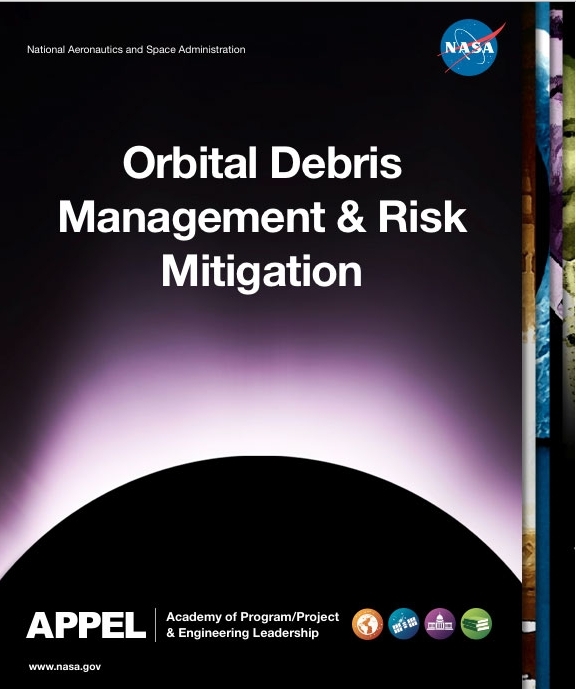 NASA’s Academy of Program/Project & Engineering Leadership (APPEL) has published a new text, Orbital Debris Management & Risk Mitigation. The book is a compilation of training materials used by Nicholas Johnson, Chief Scientist of the Orbital Debris Program Office at Johnson Space Center in his training courses on orbital debris. The work includes everything from the ten worst satellite break ups and the surprise accumulation of sodium potassium particles left behind by ejected nuclear reactor cores to tracking debris and the future of debris policies.